Rotterdam is Holland’s second largest city, located in the south of the country, and Europe’s largest port. Thanks to its roads, rails and waterways, it is known as the Gateway To Europe, and so, it makes sense to get to this Dutch city by ferry. It means you can take your own car (saving on car hire), and really explore what the city has to offer. Being able to drive straight off the ferry and onto a European adventure is what really attracts me to travelling by ferry to Rotterdam. It is made easy with P&O Ferries, with daily overnight (12 hour) sailings from Hull. My husband travelled to Holland by ferry many years ago, and loved it. Whilst it may take longer than a flight, the journey across the North Sea, he said, was relaxing and enjoyable, especially as he was able to walk around the boat, enjoy the entertainment, take in the views and breathe in the sea air whilst out on the deck. It was also a more affordable option, and something a little bit different. Standard cabins come included in the price of your ticket, with shower, toilet, towels and bedding, but you can always upgrade to a premier cabin for extra comfort and more space – and sea views. You can get a mini cruise to Rotterdam for just £79 for two people. Whilst you may be sleeping for some of the 12 hour trip, there is entertainment to suit all tastes aboard a P&O Ferry, for when you are awake. The Show Lounge, located across two decks, showcases live bands, singers, pianist and cabaret throughout the evening. You can dance the night away in the disco, enjoy drinks in one of the bars, or try your luck at the onboard casino. You can then spend your winnings at one of the shops, which offer up to 40% off the RRP on alcohol and beauty products. Fine dining is on offer from The Brasserie, which allows you to sit back, relax and enjoy the sea views, whilst tucking into tasty dishes like steak, lobster and sea bass. If you prefer something a little bit more laid back, the all you can eat buffet restaurant – The Kitchen – serves a wide range of dishes from around the world, on a rotating menu, which includes soups, salads, meat, fish, and desserts. And of course, can’t forget about the kids! There is a play area, cinema with the latest films, an arcade, and in the summer months, Junior Crew Kids Club meets for 5 – 11 year olds on selected sailings. P&O’s Mascot, Pirate Pete is on-board to join in the fun, which includes everything from arts and crafts sessions to face painting, puzzles and games – as well as special children’s shows like Treasure Island and The Little Mermaid. Rotterdam is known as Manhattan on the Meuse, because of its impressive skyline. The city has such a fantastic reputation when it comes down to architecture. 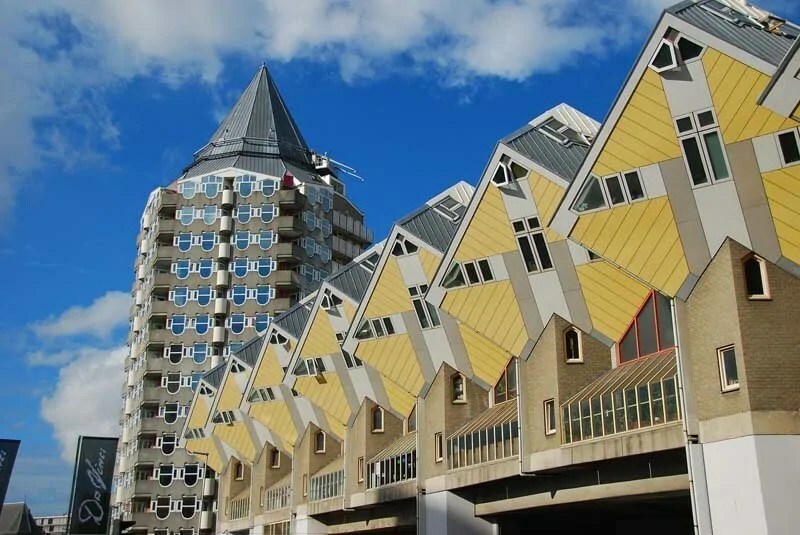 Among them are the Cube Houses of Rotterdam, built in the 1980s, are regular houses, titled to 45 degrees, and located predominately in the city centre. I don’t know about you, but just looking at images of the cube houses blows my mind! They are mostly occupied, but there is one empty house you can visit – the Show Cube. 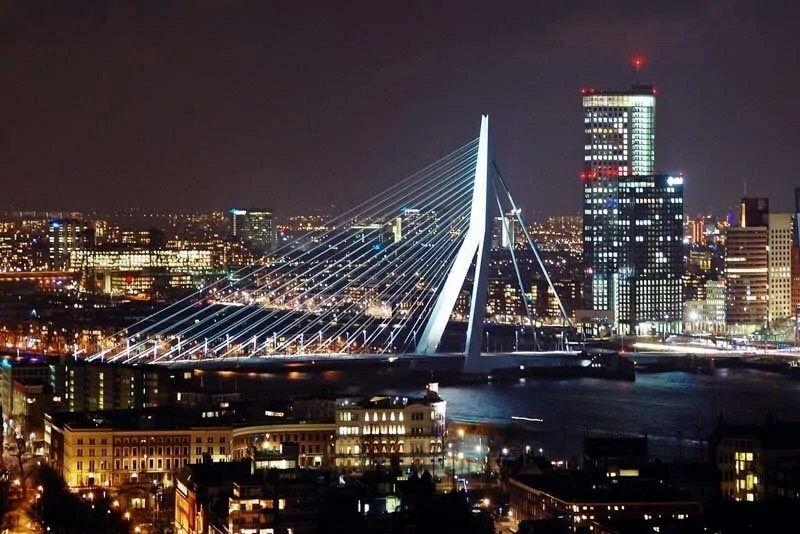 The iconic Erasmus Bridge which is 800m long and connects northern and southern Rotterdam is also quite a sight. Its nickname is The Swan, and I can see why, with its 139m high pylon. You can walk across the bridge, and it is a great place to take in the views across the river. Whilst Paris has the Eiffel Tower, Rotterdam has the Euromast. It was built in 1960 for Floriade, the world horticulture expo. You can catch a superfast lift to the viewing platforms, and can see as far as The Hague and Antwerp. If you’re feeling adventurous, you can abseil down! The ‘St. Laurenskerk’ or Great Church of Rotterdam, is the only remaining medieval structure in Rotterdam, built in the late Gothic period of 1449 and 1525. ‘Het Witte Huis’ (The White House) was the first skyscraper in Europe and was build between 1897 and 1898. It is one of the few structures that survived the 1940 bombings of Rotterdam. You should also visit Rotterdam’s City Hall, which is one of the few old buildings left in the centre of the city. It was built between 1914 and 1920 and miraculously, it too survived the 1940 bombing raids. Visiting the picturesque borough of Delfshaven will give you a unique impression of Rotterdam before the 1940s. Rotterdam Zoo, or ‘Diergaarde Blijdorp’ as the Dutch call it, is one of Holland’s biggest attractions. The amazing Oceanium is a 22 meters long tunnel where you will meet many marine and coastal animals, such as sharks, turtles, sea otters, puffins and king penguins. 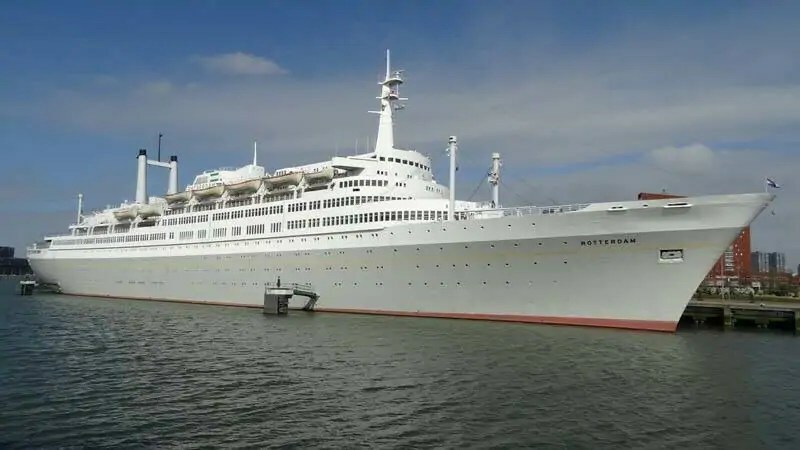 Explore the SS Rotterdam, the biggest passenger ship ever built on Dutch soil. You can spend the night in one of the rooms, do a tour, or enjoy a drink whilst enjoying the view of the Meuse and Rotterdam’s skyline. The ship sailed the seas from 1959 to 2000, and everything is as it was so you get an authentic experience of what the ship was like. You can’t visit one of the biggest ports in the world without visiting its Maritime Museum, with over one million maritime objects and all sorts of (inter)active experiences for you to explore. Museum Boijmans van Beuningen has a collection over 140,000 pieces of art – old and modern, with some sculptures at the adjacent sculpture park. You’ll find works of Rembrandt, Van Gogh, Frans Hals, Jan Steen, Kandinsky, Margritte, Dalí, Kokoschka, Leonardo da Vinci, Cornell, Beckmann and many others. The overall collection is acknowledged as one of the most important in the world. Rotterdam’s Market Hall is a football pitch sized indoor market with fresh fish, meat and vegetable stalls and delicatessens – a foodies delight! Winkelcentrum Zuidplein is the biggest indoor shopping centre in Holland, with over 150 shops and several cafés and restaurants, is located in Rotterdam Zuid. While the city centre has the big name shops, make sure to explore the smaller neighbourhoods for smaller shops and boutiques. There is fashion, art, books, food, gifts, music, and more to spend your Euros on. Westelijk Handelsterrein is a complex of former warehouses, which has been fully restored, and is home to a number of shops and galleries and many great bars and restaurants. There are a variety of cuisines on offer, from Japanese to Turkish, and as night falls, restaurants transform into nightclubs where you can dance the night away. Enjoy the trendy, cosmopolitan restaurants of Rotterdam, or you could stop off at one of the many cafés or waterside terraces for a relaxing coffee and bite to eat. Have you travelled to Rotterdam by ferry? What should I not miss when visiting? 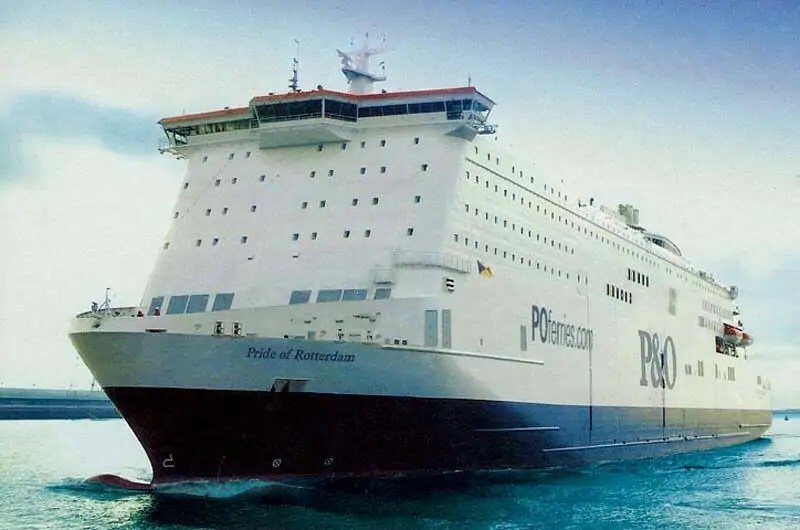 Disclosure: Collaborative post in association with P&O Ferries. Never been on a ferry. Plan to get on one soon though. Ooh exciting! Where are you going? It does look amazing doesn’t it! Love those pics, it really is stunning isn’t it! I went to Hull Uni, we did Amsterdam as students (funnily enough!) but not Rotterdam. Think I missed a trick, although Hull isn’t that far from Nottingham! Love a ferry journey. Haha, my husband also did Amsterdam by ferry :D It looks beautiful, so much stunning architecture. I didn’t even realise you could get the ferry to Rotterdam. I must look at some of the other routes they do as I love travelling by ferry. Rotterdam’s a great city too, we loved visiting in the Spring. A new one for you to check out! I can imagine it’s wonderful in springtime.